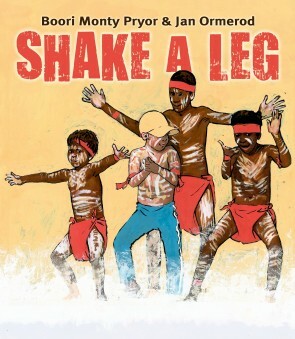 Boori Monty Pryor is a storyteller, dancer, writer and educator, and Jan Ormerod is an internationally acclaimed picture-book author and illustrator. This glorious book is the first one they have cooked up together. Jan Ormerod grew up in the small towns of Western Australia, with three older sisters, and as a child she drew constantly and compulsively. She went to art school and studied drawing, painting and sculpture. After completing her degree, Jan became an Associate of the Western Australian Institute of Technology and Design in Education, taught in secondary schools on enrichment programs, and lectured in teacher’s college and art schools. Jan’s first picture book, Sunshine, won the Mother Goose Award in 1982 and was highly commended for the Kate Greenaway Medal. Her recent titles include Ben Goes Swimming, Emily Dances, Who’s Who on Our Street?, A Twist in the Tail and Ponko and the South Pole.